Accelerate your journey to wellness with these top-quality online courses, taught by Dr. Sarah Ballantyne, PhD. Award-winning public speaker, New York Times bestselling author and world-renowned health expert, Dr. Sarah Ballantyne, PhD (aka The Paleo Mom) believes the key to reversing the current epidemics of chronic disease is scientific literacy. 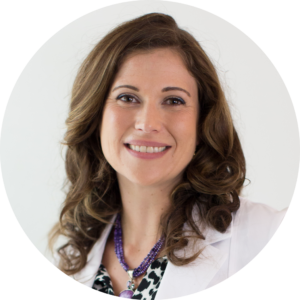 Using her medical research background, Dr. Sarah creates educational resources that help people regain their health through diet and lifestyle choices informed by the most current evidenced-based scientific research. ThePaleoMom Workshop & Masterclass 2019 was a 3-day event attended by 100 women and men who traveled from all over the world to learn, explore, connect and relax. Dr. Sarah taught nearly 15 hours of seminar over the weekend, covering a wide range of relevant topics—from how to evaluate scientific studies, to therapeutic diet and lifestyle, to gut barrier and microbiome health, to healthy and sustainable weight loss. Feel like you were in the room with instant digital access to ~15 hours of high-quality video recordings and printable PDFs of the 600+ slides for every program session, plus photos, testimonials, and anecdotes from this extraordinary and profound event! The Autoimmune Protocol Lecture Series is a 6-week video-based, self-directed intensive online course that will teach you the scientific foundation for the diet and lifestyle tenets of the Autoimmune Protocol, plus provide tons of tips and strategies for implementation, refinement, reintroductions and troubleshooting! The AIP Lecture Series is the ultimate Autoimmune Protocol educational experience! Learn directly from Dr. Sarah! You’ll get access to 42 on-demand video lectures, dozens of printables guides, daily self-discovery exercises, interactive quizzes and even an online forum to connect with Dr. Sarah herself, join group discussions, ask your questions and get personalized guidance and support! About 90% of all disease can be traced back to the health of the gut and gut microbiota, the community of microorganisms that lives within our digestive tract. It is not an exaggeration to say that gut health is everything: the health of our guts has a profound effect on our overall health. Learn how to heal your gut with diet and lifestyle choices with this video-based online mini-course! NOTE: The Leaky Gut Mini-Course is an excerpt from the Autoimmune Protocol Lecture Series.